Maximus Maleficar was once a powerful, fearsome gladiator, electrifying the arena with his mighty feats of strength, bravery, and combat prowess. Within him stirred the innate power to draw upon the life force of his opponents, to make their blood his strength. This hidden power fueled his rise to the top of the world, but blood magic is a dark, dangerous and demanding influence. When his Dominus, his master, became threatened by the power Maximus wielded he devised a scheme to remind Maximus of his place as a slave, his place as a tool to be controlled by those above his station. Maximus was a man of fierce loyalty and passion. These sensations burned no brighter, no more furiously, than for his love, Perseon, a fellow gladiator, a brother in arms, whose skill in the arena was rivaled only by Maximus himself. The two warriors, knowing that their winnings in the arena would soon be enough to buy their freedom, were a threat to the Dominus, who knew that losing his two best, most profitable gladiators would be a horrible loss from which his ludus, his dojo, would never recover. The Dominus therefore hatched a plan that would break Maximus’s spirit – a plan that would cost the Dominus only one of his two titans. Away from prying ears and eyes, the Dominus threatened Perseon with Maximus’s life, telling him that if he did not dress in foreign garb and battle Maximus to the death, he would have Maximus thrown into the deepest dungeons of The Land where he would shrivel and rot. Perseon’s love for Maximus was such that he agreed, believing his death at Maximus’s hands preferable to Maximus’s slow, horrible death of starvation and darkness. The Dominus, understanding Maximus’s pride, tricked Maximus by saying that his next contest would be against the most fearsome foreign gladiator to have ever taken up the sword, but that he doubted Maximus would survive and that it would wound him greatly to see his pride and joy fall in the arena. Maximus begged the Dominus for the opportunity to best this mighty foe. With feigned trepidation the Dominus finally agreed. Perseon, seeing Maximus’s excitement was forbidden from revealing the truth, lest they both be thrown to the darkness, never to see one another again. Perseon made peace with his fate. The battle was as fierce as can be expected – though Perseon’s heart was not in this contest. Hidden beneath a helm and foreign furs, Maximus never suspected the true identity of his foe and fought with all his strength, eventually besting the man he loved. When Perseon’s lifeless body fell upon the ground after the killing blow had been struck, his helmet clanged helplessly from his head. Upon seeing that he had spilt the blood of his only true friend, the only person he had ever loved, Maximus went mad. 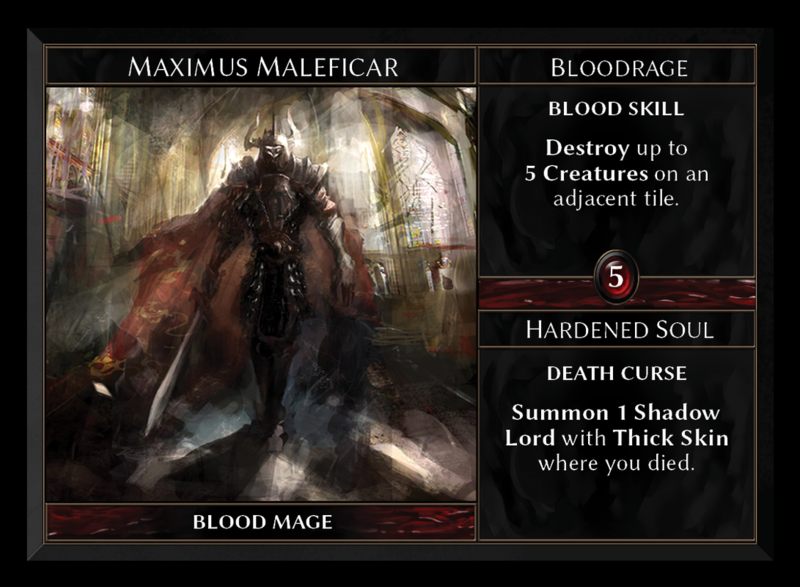 He used the blood of his fallen lover to power a spell unmatched before or since by even the most powerful of mages, killing the crowd gathered in the arena, the mob who had cheered him on as he murdered his one true love. He saved the Dominus for last, torturing him for his deceit. Maximus won his freedom that day, becoming a fugitive in the process. The scars that obscure his body, disfiguring his once titanic form, belie his many vain efforts to bring his love back to life. He wanders The Land enslaving villages and wandering merchants, hoping against hope that he will one day possess enough to revive the dead – to bring Perseon back to his arms.